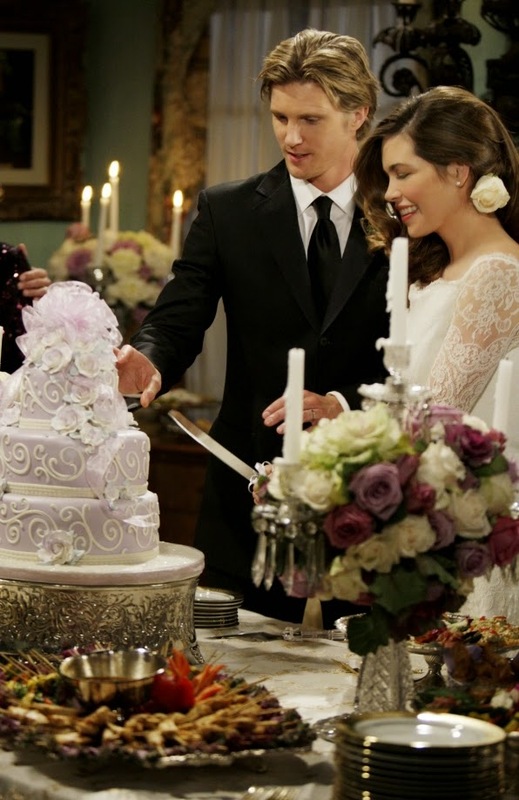 This week, one of my favorite daytime dramas, The Bold and The Beautiful, celebrated its 7,000th episode! Beginning in 1987 (I was two years old! ), their stories chronicle the ups and downs of the Forrester, Logan and Spencer families--and numerous supporting characters intertwined within their lives. I have always loved this show for its fashion, love stories, glitz and glamour--and I am so happy that it is as popular today as it was in the beginning! In honor of the show's magnificent milestone, I have compiled my own top ten list of everything I have learned from the "soaps." As I mentioned in my previous post, The Young, The Beautiful + The Stylish, daytime dramas can be an escape from reality, but many times we can actually learn positive lessons from them. 1. Honesty is always the best policy: Okay, I admit--if everyone was super honest--a soap opera wouldn't be a soap opera. There are bound to be endless lies, cheating and scandal--it makes for a good storyline. However, years and years of watching characters ruin their lives (and the lives of others) by being deceitful or selfish has taught me the importance of being upfront with someone--whether it's positive or negative--because it's bound to hurt more in the end if you haven't been truthful from the beginning. 2. Just when you thought...: Yes, haven't we all been there? Just when you thought your life was turning around for the better--and the path ahead seems to be in a brilliant straight line (with sunshine and flowers)--there's always a U-Turn. It's how we handle the adversity and roadblocks that show our true character. One of my favorite quotes is "Everything will be okay in the end, and if it's not okay, it's not the end." Is it ever the end? That's why I've become a firm believer in "never say never." Too many times I have watched something that seems "final" turn out to be just a new chapter in a never-ending story. The residents of Los Angeles and Genoa City always give me reason to understand the importance of "going with the flow" and enjoying the ride. 3. It's business, not personal: Family is wonderful, friends are wonderful--but sometimes you just have to keep everything compartmentalized and separate--for the sake of everyone involved. And on the opposite side of the coin, sometimes you have to make tough decisions that may upset others close to you, but are beneficial for your personal journey/career/sanity. 4. 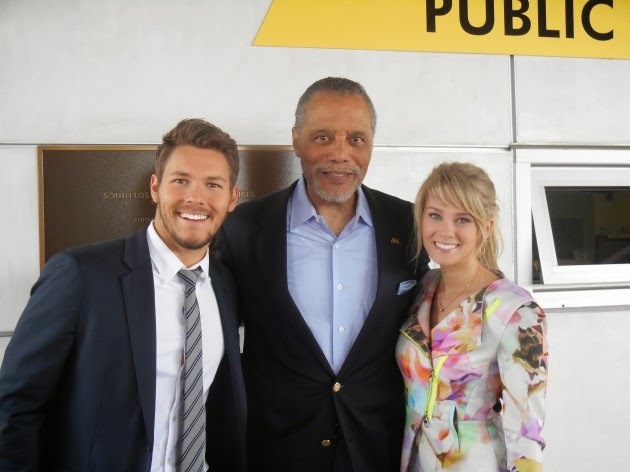 Make health a priority: Both The Young and The Restless and The Bold and The Beautiful have done a fantastic job over the years in bringing awareness to numerous platforms--both acute and chronic. Whether it be mental health, cancer, abuse, addiction, blindness or paralysis--the writers and actors that portray what can be sometimes difficult and extreme conditions play a vital role in addressing the importance of check-ups, education, strength and hope. 5. Love your enemies: Some of the best scenes on television have been in the presence of one's enemies (food fights, harsh words and throwing punches come to mind.) However, I have learned that all in all, a great enemy can teach us so much about ourselves--and we can even learn to respect one another over the years. Brooke Logan and Stephanie Forrester. Jill Foster and Katherine Chancellor. If they can bury the hatchet, why can't we?! World leaders should watch more soaps. 6. Give back: I always love The Bold and The Beautiful's focus on the importance of the humanitarian spirit. Whether it be the real-life stories from a shelter in downtown Los Angeles, feeding the homeless at the mission (and Dayzee's), or highlighting the importance of animal adoption--it's great to inspire viewers to care for this planet and its inhabitants. 7. Travel the World: Some of the best episodes have been in exotic locations. Hope and Liam's first wedding in Italy. Ridge and Taylor's engagement ring treasure hunt in St. Thomas. Adam and Sharon's rendezvous in New Orleans. Bill and Brooke's romantic outings in Monte Carlo and Dubai. Not everyone is fortunate enough to travel as lavishly as characters on television--but I think it's great to live vicariously through their journies, and remember the importance of getting away, at least once or twice (or twenty!) in life, somewhere new and amazing--or somewhere sentimental and memorable. 8. Stay classy and stylish: Don't you wish you could walk out the door on a daily basis, grab a cup of coffee at Crimson Lights, and be dressed to kill? Better yet, how about staying at home and lounging around the house in your Manolos and Forrester Original? Ah, the life of a soap opera character! Honestly, we can't all be at our best every hour of every day--but women like Lauren Fenmore and Ashley Abbott do make me want to be "on my game" and go out of the house with confidence daily. Inner beauty creates outer beauty, and I think that's super important whether you're attending a wedding or mailing a letter at the post office. 9. Celebrate simplicity: Have you ever noticed how the majority of characters are "so important," yet when it comes to major events, like a wedding, most are set in their own living rooms with less than a dozen people?! I am a firm believer that "having it all" shouldn't lead to excess in all that you do. Some of my favorite moments have been those simple scenes--with just the main character surrounded by his or her closest or most-trusted family and friends. The best memories are created through simplicity. 10. True love is forever: One of my favorite scenes in soap opera history was when Brooke Logan had essentially given up. She felt all chances of happiness had passed. She was sitting in her garden, on a bench, when all of a sudden, flower petals began to trickle down this huge cascading fountain in her backyard. She looked up, only to find Ridge--her destiny--breaking the petals off a flower and sending them down in the pristine water one-by-one-by-one. Ever since that episode, I've longed for a "flowers in the fountain" moment. I've realized that past, present or future--true love--in whatever form brings you a peaceful heart--is forever.